It was my first but not the last trip to Romania and to make sure of this I buried a little coin at the mountain camp in order to return there and find it. I was invited to the CRIOSFERA symposium to get to know the amazing history of Romanian polar research and to explore the Romanian cryosphere. I was also there to represent INTERACT and present the research activities undertaken at my station, and as with every symposium/conference to meet enthusiastic young scientists. The people and scientists of Romania are very open, friendly and kind-hearted which made the symposium a great experience. I could talk about Romania, and the symposium, for hours but I may keep that for another day. That’s because this post is about a very special educational project that I stumbled across within one of the corridors of the conference building. While I was moving through the corridor looking at the pictures covering the wall, I was very much astonished with what the kids have created. 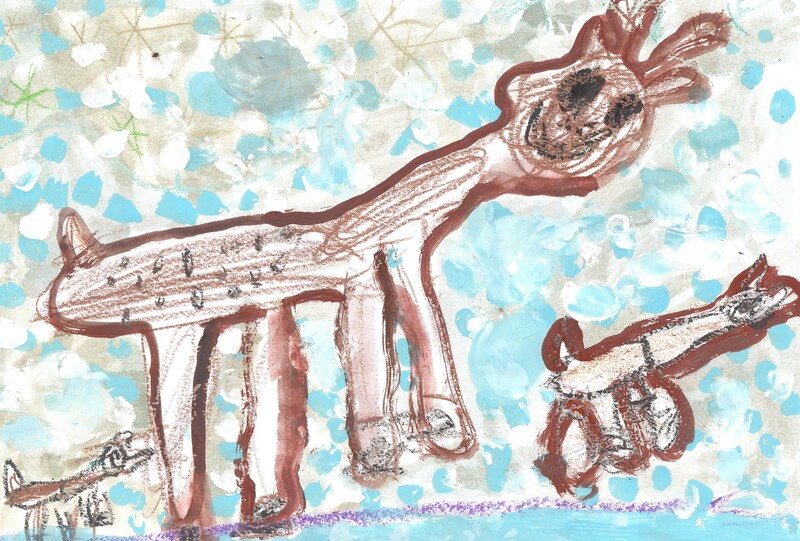 I mean can you imagine little kids from Romania creating pictures of Inuits, seals, whales, penguins, auroras or even scenes of polar life? My amazement ran high when I knew the finer details behind this artwork. All those pictures were created using litter and with different artistic techniques and concepts, all of which were introduced to kids by an amazing teacher Cosmina Dragomir. 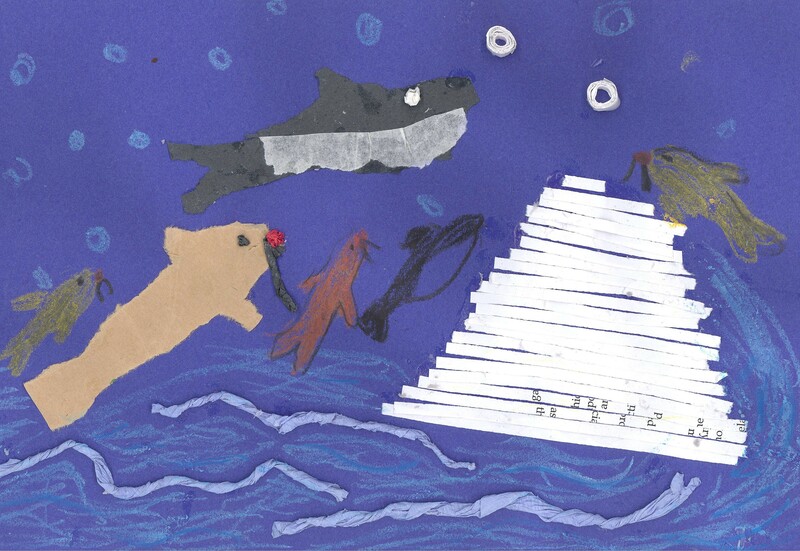 As Cosmina explained, during thier courses, children were introduced to the goals, ideas, news, and aspirations of research in the Arctic and Antarctica. They virtually placed themselves in the big explorer’s skin and with curiosity leading them to seek the knowledge and creativity allowing them to physically express the concepts they had learned, this amazing artwork was created. 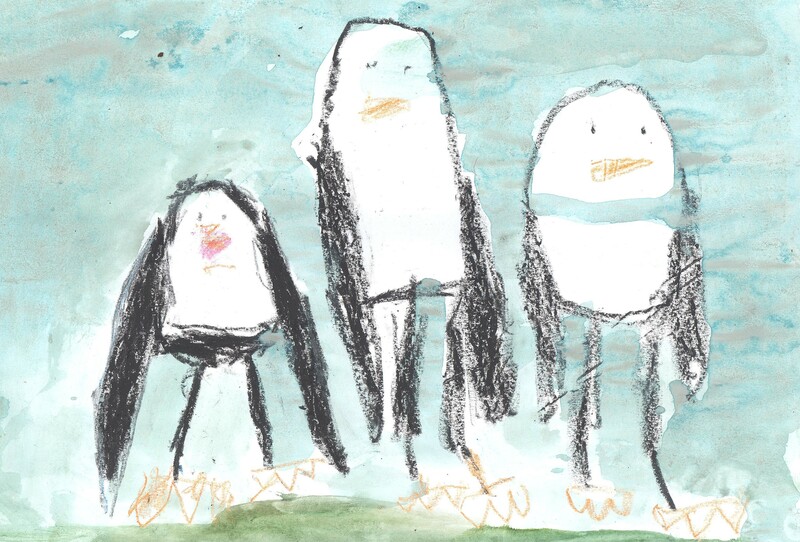 Cosmina said: “We introduced the art sections addressed to the preschool kids and pupils: this includes the traditional drawing, painting, collage, and origami. But also a new artistic technique of 3D-installation through a concept of recycling litter, called Garb-art. Through it, kids have the opportunity to learn notions about the danger represented by pollution, to be educated in the ecological spirit, and to have the self-perception of being involved in a campaign against this global threat. At the same time these kinds of activities stimulate the kids by giving them the joy of the practical and positive interaction with the environment, as well as something to show for it (e.g. they had to collect, clean and sort the litter in order to obtain materials for their collage or sculpture). And by the way, a wise person once said “We talk so much about leaving a better planet to our kids that we forget about leaving better kids to our planet”– Cosmina has taken notice. Isn’t it amazing? This project has inspired me to move forward with all my education and outreach activities and I hope that the Khibiny station, in my home town, will soon become one of the kids most favorite places to visit and learn more about Polar Regions in such a fun and interesting way. It was summer last year when I saw a post on Facebook from Jillian Worssam – an amazing person from the Flagstaff Unified School District, Arizona – about the educational project “Scientists in the classroom”. I was very much excited and interested because education and outreach should be an integral component of any kind of research. Yes, it’s a very general statement that I use without being very much into the process myself, before this following experience. I myself am a working scientist, writing articles, undertaking fieldwork, compiling data and creating educational activities mostly for university students or young scientists. Yet, the following encounter was my first experience working with school kids and you know what? There is obviously a huge difference in level of knowledge needed but the most impressive thing I have learnt is the incredible feedback. My first mentee was Kayla from the eighth grade, with our communication being based online, mostly via email, it was always a great pleasure to log into my email account and receive emails entitled “Mentor”. That was the first time someone called me like this. 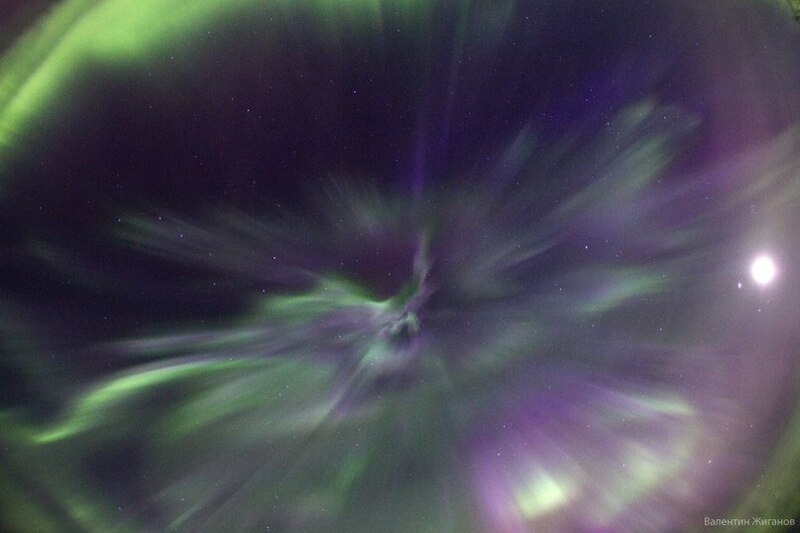 While the first emails were dedicated to getting to know each other by the time Kayla asked me about what should we study, the Polar Night had come to my region making the answer to her question pretty obvious – The Polar Night and its effect to Arctic residents. I have studied this topic myself for some time during my social investigations. After a few introductory letters Kayla asked me a question that was very interesting for me because at the first glance I couldn’t find the scientific connection to those 2 things mentioned in the question. Furthermore I spent the whole day exploring for the answer, taking me away from writing station’s research plan. 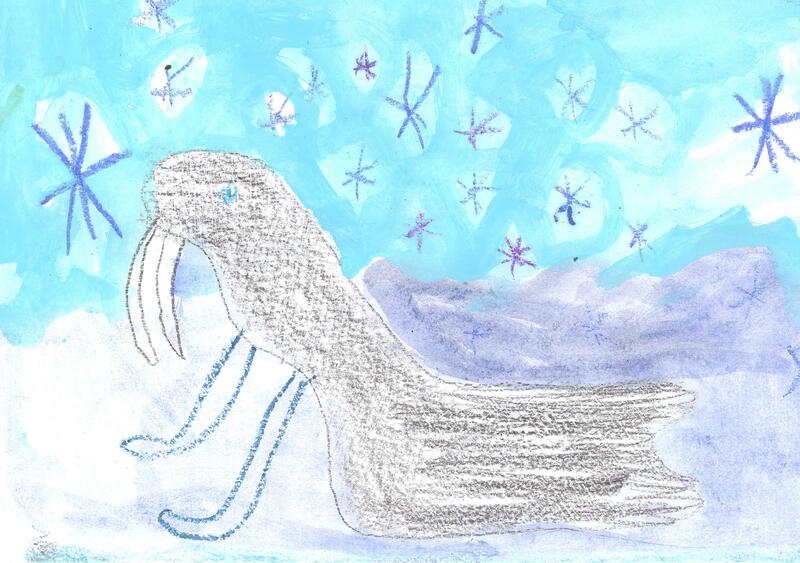 Kayla wrote: I was wondering how the polar nights are connected to climate change. …and proceeded to spend a few hours reading, searching, and exploring to get the answer on board! It’s not the question of what can we do for kids but what they can do for us. Kayla unknowingly made me think broader and sparked my curiosity causing it to peak higher than it has peaked in a good while, which is why I will never forget this question. Personally I believe that curiosity is the motivating force for any form of successful research! I want to say Thank you to Jillian for such an amazing experience! PS I am so much looking forward for a new experience this year! Our station was founded in early 1948 and has more than 50 years of history! Actually we will celebrate our 65th Anniversary at the end of April this year. The industrial exploration of the Kola Peninsula began in the 1920’s and a lot of scientists from all over Russia, including Moscow University, came to help in the exploration of the natural resources with which the Arctic is rich. But during the World War II industrialization of the region had to stop because the Kola Peninsula was the most northern region of tactical and military activity. A lot of towns within the region now have the status of “hero-town” which means that they faced the strongest attacks. Some people just ask me whether we have a lot of art museums and exhibitions in my area. And I usually say – No! Because almost all our museums and exhibitions are devoted to war period or natural resources exploration and you can find these kind of museums in every town and settlement within the Murmansk region. In far post-war years there was a faculty in Moscow State University with more than a romantic name “Polar Countries”. The head of this Faculty (A.I.Popov) came to the idea that the study of avalanche conditions in the area of Arctic and Subarctic is extremely important due to the growing industrialization. At that time the young outstanding scientist George K.Tushinsky took up this idea. Later on he became the best-known expert on glaciology and a professor at the Faculty who founded several field stations. Thus, in 1948 by the decision of the Council of Ministers of RSFSR (Russian Soviet Federative Socialist Republic) the Khibiny education and scientific station was officially established. Originally our station was built with only one small building, which used to be a post office in times past. Later the station was moved to the huge territory of the former mine workers settlement near the slope of the Yuksporr Mountain, where it is situated today. 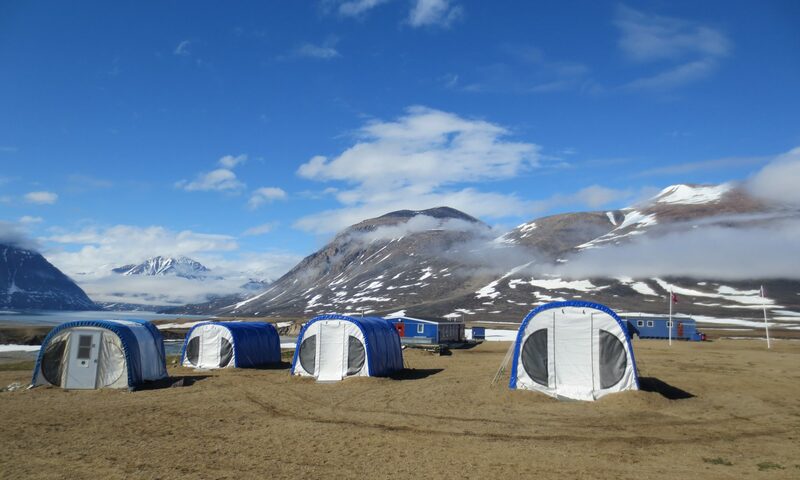 The station has grown considerably in the past years with us now having more than 3 buildings, sauna, field site (with weather sensors) and a lovely arctic landscape. 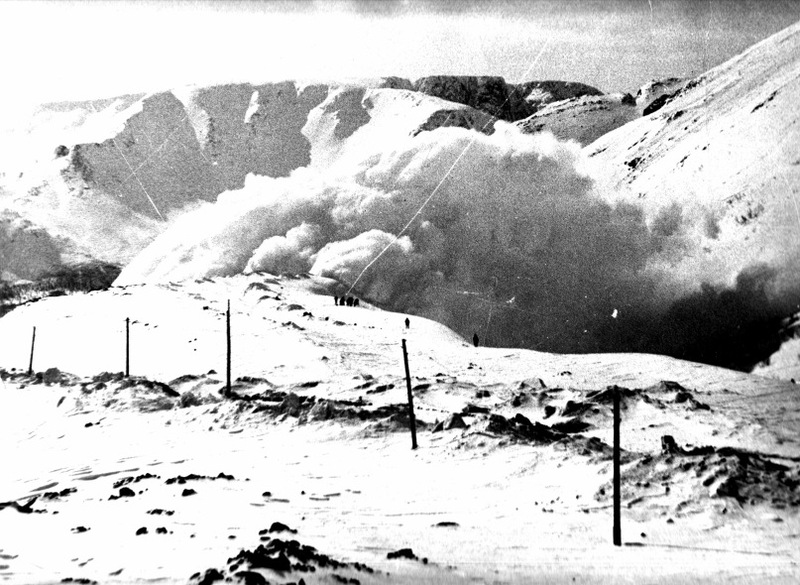 The scientists from the station and Faculty of Geography were the first people who helped APATIT (local mining enterprise) to investigate snow conditions, slushflows, avalanches so as to prevent accidents and losses of newly established mining fields. The interesting fact is that there were 4 different expeditions organized to investigate this amazing Arctic mountain – Khibiny and they were dedicated to the International Geophysical Year (1957-1959). And today more than 50 years later, we are still investigating this amazing place of the world to get closer to understanding of the Arctic during the International Polar Year and in the period of changing climate. I would like to acknowledge all those great people and scientists who contributed a lot to the station’s development. The list of names is huge and I won’t post it but I want to let them know that we all appreciate everything they have done. Happy 65th Anniversary, Khibiny station! Hurray! 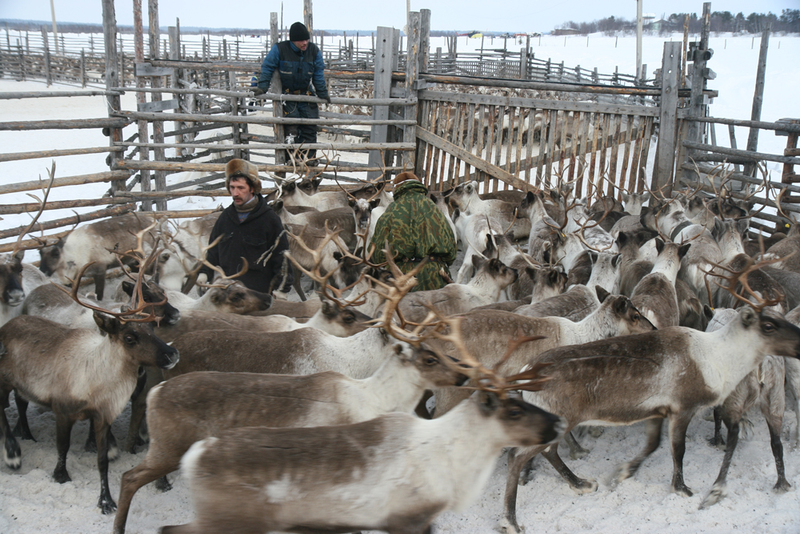 This post is the result of the work with Sami communities within the station and devoted to the personal research insight. What’s traditional knowledge? Why is it so important and so popular today? and Who has it? All these questions may pop up in your head from time to time, yet have you ever given a deep thought to it? I can consider myself as an Arctic resident for I was born and am still currently living in the Arctic, also several generations of my family has been living here. 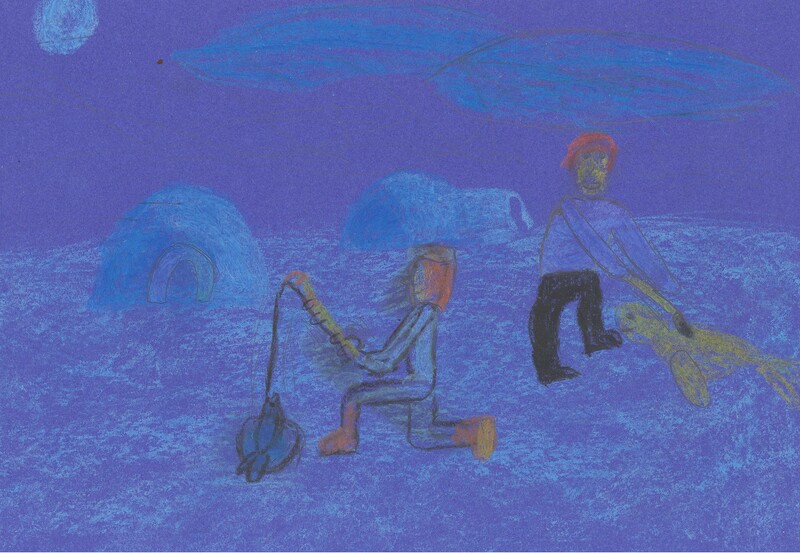 Thanks to my father, I have spent my childhood in the lap of the Arctic. We were fishing, hunting, gathering berries, learning how to make a fire, and how to orient ourselves in the deep forest…that was a call of the wild and this is how I was brought up. If there was ever a question that my father, mother or I could not answer, we were pointed in only one direction with the phrase – “Ask your grandparents!” This is the generation’s turnover, for no matter what, you will get an answer from your roots. Yes, my family has had a few generations residing within the Arctic, but we are not part of the indigenous people. This means that we have the experience of how to live and survive in this area under these harsh conditions of the far North, but we don’t have the passed down traditional knowledge. Yet we are starting to gain it with each generation that lives within the Arctic. I imagine that in the far future some of the scientists and local residents of this area (if it will be populated at all) may look back and consider us as indigenous people as well, but who knows? I do remember spending many a great evening with the Sami oldies, in which they told us amazing stories spanning at least 3-4 generations about the Arctic tundra. Stories about the long winters, long-distance reindeer over landing, strong and healthy Sami men and their caring women, all of which we call Northern Temper. I wonder why modern scientists didn’t take this knowledge into account long before? Also why they have started to incorporate it into their science just recently? Yet still it’s only a minority that does so. Isn’t it the way in which all the discoveries, facilities, and scientific theories of our modern lifestyle have been achieved by now? Neither applied nor fundamental science within Arctic regions could exist without personal experience and knowledge passed down over just a few generations. BUT…why am I writing this? Why do I think that all the scientists who study Arctic issues should incorporate traditional knowledge of indigenous people in their science? Being a self proclaimed Arctic resident I can feel and experience the changes myself but I must admit that nowadays it is a one-sided experience. We are now the people of the media century, meaning we cannot be objective knowing the facts and evidence about changes that are happening and spreading through the media channels. We just simply have a media-based knowledge in which not all the published material is always correct. But those people who live their traditional way of life, who are remote from the tons of true and false information…they have perfect traditional knowledge…they are objective, and they can advocate for what they experience themselves truly…that’s why it is so vitally important to get back to their traditional knowledge, to their pure knowledge! It appears that our station has no acronyms that are popular in the scientific world. Thanks to the INTERACT team, now we are just simply called KHIBINY. So, what does this great Sami name mean? First, we have a huge Moscow State University named after the outstanding Russian scientist Mikhail Lomonosov. It’s one of the oldest universities in Russia and it was established in 1755. Second, this University has more than 40 faculties including the Faculty of Geography. Along with numerous departments the Faculty has field training and scientific stations (5) located in different parts of Russia, from Elbrus to Khibiny. 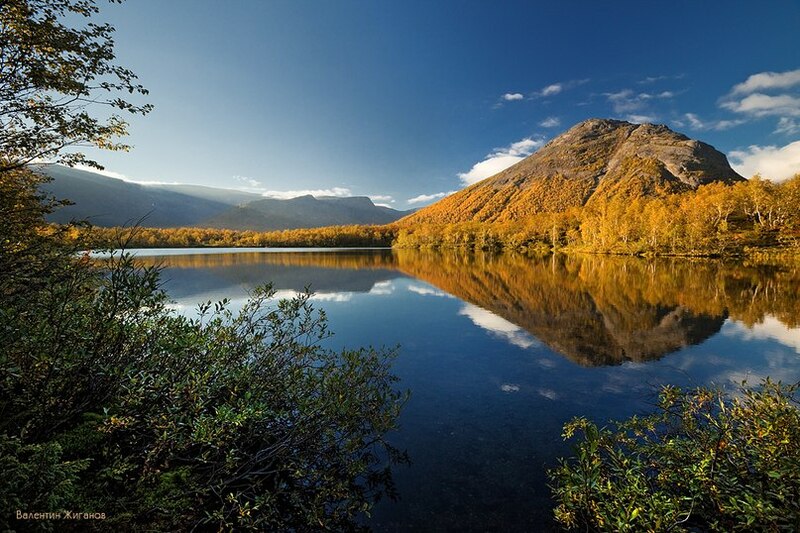 The early residents of Kola Peninsula (northerners) had some very specific dialects and they used the word “khiben” to describe the highlands, which is the namesake of our mountain range, Khibiny. The Sami language is beautiful and sounds like the strong northern wind blowing in the arctic tundra. Have you ever heard Sami lullabies? You should listen to. It’s a mysterious call of the wild. Sami language is very descriptive, there is nothing secret or hidden in there. The most common mountain names within the Khibiny massif ends in “chorr” like Lovchorr (The strong mountain), Aikuaivenchorr (The mountain with a head of God’s Mother), Portamchorr (The Mountain of good provender) etc. “Chorr” in Sami language means “mountain”. Likewise, we have beautiful river valleys in KhibinyMountains as Kuniyokk (Ash), Tuliyokk (Reindeer skin). The word “Yokk” in Sami means “river”. I can list a lot of amazing names but you should come to Khibiny and check them yourself. 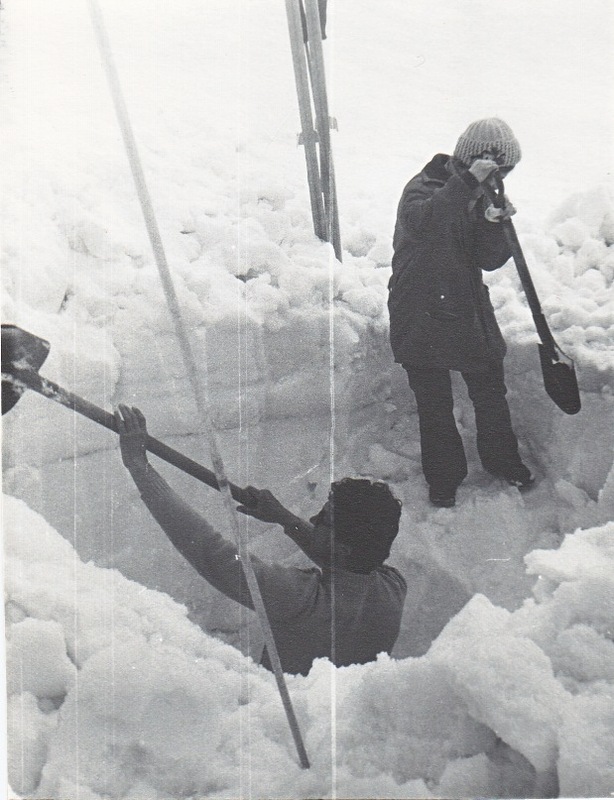 I think it was a strategic and logic decision many years ago to choose snow and water-snow flows and other related issues as a main scientific topic for our station. 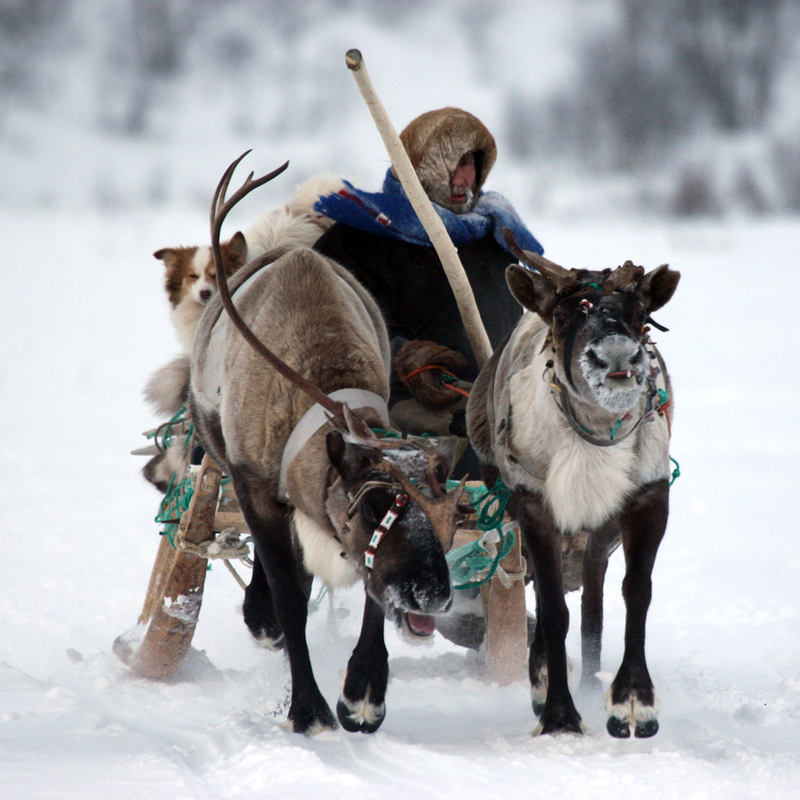 Do you know that Sami people have over 200 words to describe the word “snow”? Let’s try to list at least few synonyms of “snow” in English or in Russian: firn, graupel…What’s next? 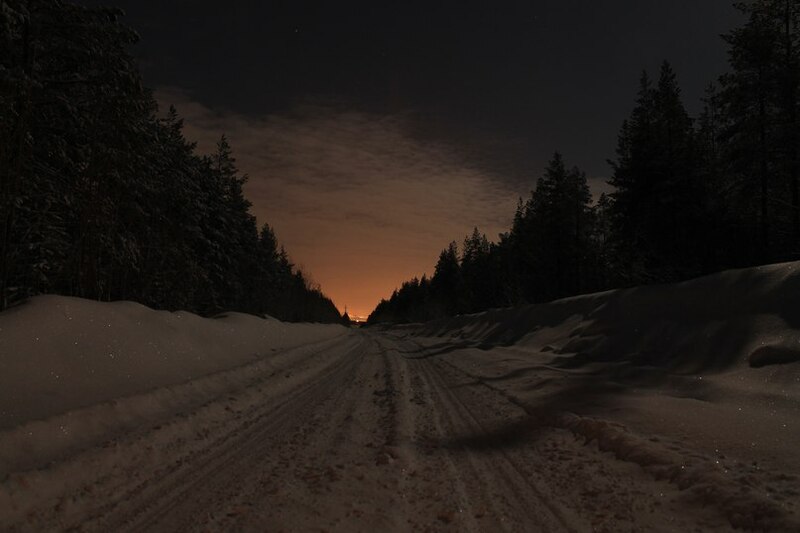 The Polar Night makes everything around become purely sleepy! We don’t know how it feels for the trees or animals but for the human beings the Polar Night feels like a bear’s lair that will never let you out from its warm, cozy, lazy, and sleepy hugging grip. The only thing that somehow helps me to struggle through this feeling (let’s call it nominally as “bear-lair-mood”) is the long station’s to-do list. It not only involves the preparations for the next year’s field training and research season (or, let’s be honest, the preparation is the never ending process) but also any emergencies that may occur from time to time. If you lose the momentum and decide to relax for a day or two the to-do list becomes even longer, giving good truth to the saying “Never put off till tomorrow what you can do today”. As the Arctic winter is so unpredictable as you will soon read, it’s a good idea to be prepared for everything and anything. The relatively rapid drop in temperature down to –30oC led to our most recent incident at the station, a burst water pipe. This showed that the pipe system at our station is not properly insulated! The huge stream of hot water sprayed out of the pipe coming into contact with the -30oC air making every tree within the vicinity have a nice icy cap. It of course gave the station’s territory a glamorous Christmassy look but winter wonderland aside it took almost 3 hours of repairing and an out of hours midnight call to the local plumbing service (with which they were not too happy about). In such a moment I understood that the closeness to any kind of settlement is the necessity rather than a pleasant bonus. I cannot imagine how they deal with such an emergency at the remote field stations! God bless them! To step back from the incident at hand, I must say that winter is also a great time for the long put off inventory check – which is the job pushed hardest by the faculty’s administration. We, at the station, also think so even though the procedure takes over a month and a half to check all the accumulated possessions we have collected over the years the station has been in operation. It’s not a secret since the station has its own history of several generations of scientists having walked through and stored equipment at this station from the hard post-war period and collapse of the Soviet Union to present day. In saying this nothing should come as a surprise, although you may find something hidden away in the wilderness of the stations corridors that does make you step back in wonder. One such find that had this affect on me was when I stumbled across the collection of Khibiny insects hidden away, its this kind of small surprise that makes inventory so much more pleasant. What’s next? I assume there will be many more interesting scientific discoveries and I should probably get back to the history of the station. But wait a minute, I guess that is another story for another day (check out my next post about station’s history). 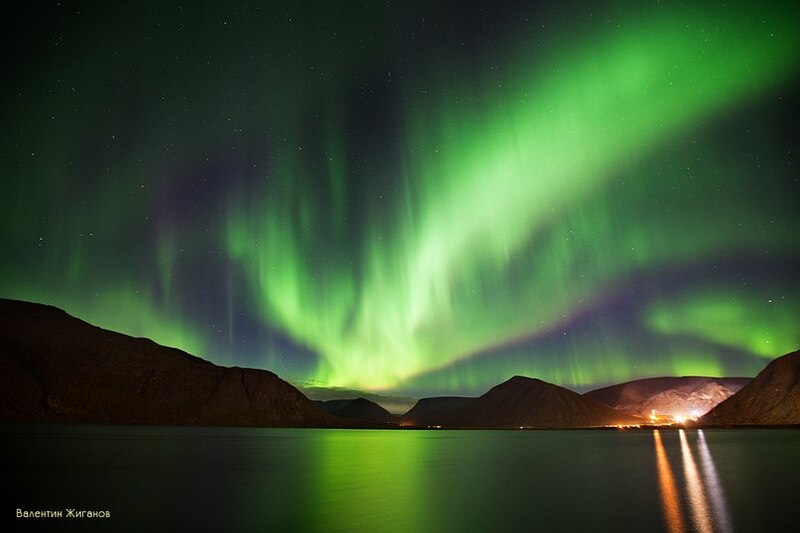 Khibiny 2012 Brief: What makes the Arctic an amazing place to live in? The Arctic autumn runs by as a jackrabbit. It tries to stay alive for sometime moving from the desperate last days of summer to the encroaching advances of the long winter. In fewer than 3 weeks the surrounding landscapes will change from summer’s green blanket through an orange-red-yellow-rust palette to grey and white snow-capped scenery. This year we have had an amazing Indian Summer, and this reprieve has provided a great opportunity to stop and try to refresh our minds. As many of you know, the Arctic can be HOT! And the “hottest” season at Khibiny station is summer. This year we hosted several student field training courses on geomorphology, meteorology and nature management. More importantly, together with 2 groups of scientists from Austria and Finland and support from the INTERACT team, we continued to push forward out understanding of the Arctic. Our first INTERACT user group was the team from the Institute of Mountain Risk Engineering, University of Natural Resources and Life Sciences (BOKU) from Vienna, Austria. Sven and Tatiana tried to find out more about risk management for mountain hazards. Their project (ARCTICRISK) will increase knowledge on risk trajectories, which in turn will be transferable to other mountain regions of Europe with less-clearly defined system boundaries. But you may ask, why exactly are they working in the Khibiny Mountains? Well, Khibiny has a unique location in the Low Arctic area and therefore has a set of unique conditions that cannot be observed elsewhere; more specifically, together with its location, intense mining and tourist activity, the Khibiny Mountains have very special snow cover formations and thus a unique avalanche regime. This summer’s second group was from the University of Turku, Finland. 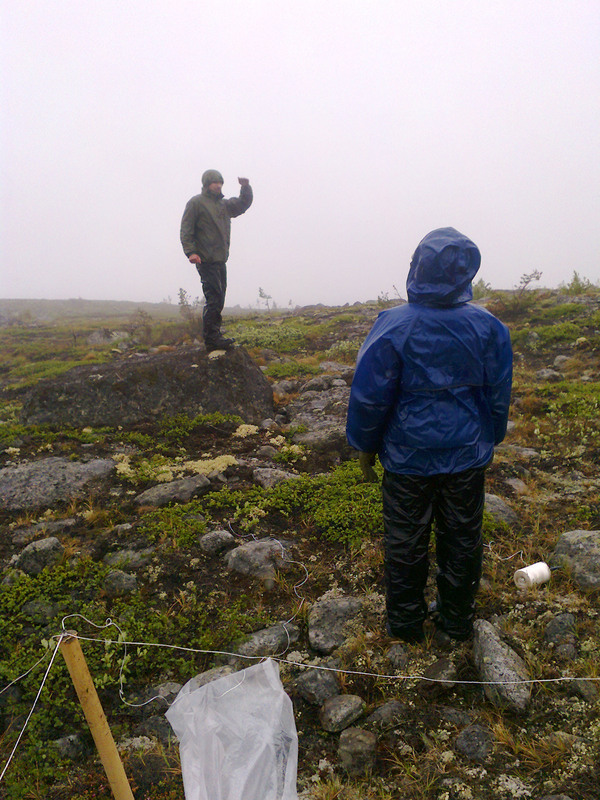 Mikhail and Vitaliy (IHALP team) aimed to monitor the amount of woody plants being consumed by animals along altitudinal transects in the mountains of the Kola Peninsula and thereby assess the potential effects of climate on losses of plant biomass due to insects. Although there are many mosquitoes, the Arctic does not have very diverse insect life. Nevertheless, similar to lower latitudes, insects and plants are interdependent, but in the Arctic the relationships may differ in their interactions. As climate has and will change faster in the Arctic than in the rest of the globe, it is crucially important to understand these connections! Working together with international and interdisciplinary teams of scientists is always great pleasure. And it can bring some unexpected bonuses, too – whether it be new knowledge, new friends, new books for the station’s library, or a new bottle of apricot schnaps :). As our “hot” training and scientific period has passed, we will be concentrating on the administrative side of our work. It will be a long winter as always, and yet there are plans to implement. As the central heating comes on (for almost 9 months, in fact! ), we should get back to writing papers and reports, developing new scientific plans, maintaining the station (all 2000 m2 of rooms/offices/library/laboratories! 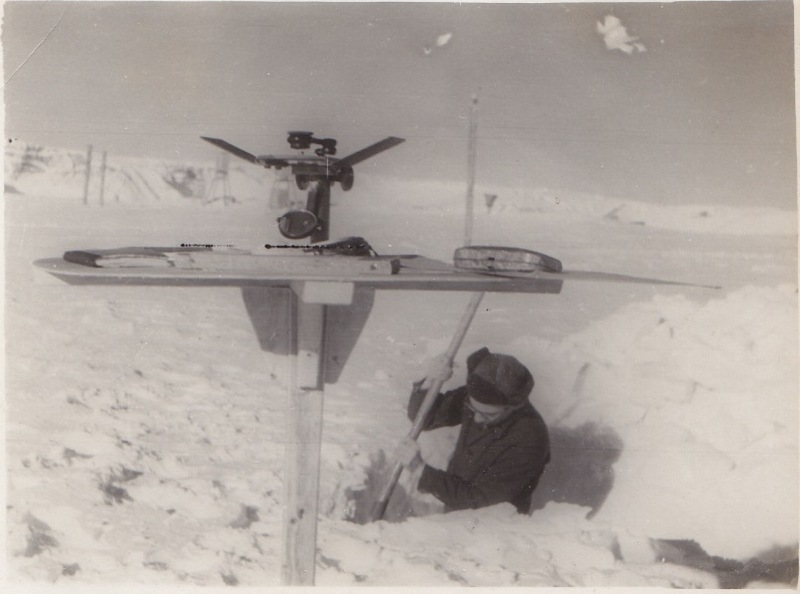 ), continue snow cover and weather observations to keep databases ceaseless, and much more! But to get back my main point: it is amazing to live in a place where I can see the fastest season changing ever, experience climate change echos in situ, explore scientific diversity of the Arctic with international teams of experts, and now jump into the long polar night to see amazing Northern lights, snowstorms, and know that I am a part of something big and important!